Now it’s easier than ever to make the gift of a lifetime. IRAs can qualify for tax-free charitable distributions. The Community Foundation of Greene County can help turn your individual retirement accounts (IRAs) into tax-saving charitable gifts. Extended tax benefits allow more people to experience the joy of giving during their lifetimes. American seniors can make the gift of a lifetime by giving their IRAs to charity without federal tax penalty. So your retirement funds can go further than ever before. Retirement assets may be a preferred charitable gift for seniors. IRA distributions to charity can receive special tax advantages. Americans age 70½ and up can make tax-free IRA contributions to public charities such as your community foundation. The Community Foundation of Greene County can help you connect to the causes you care about most. You can set up a charitable fund in your name or make an unrestricted gift. Giving is one of life’s pleasures; we can help you enjoy it today. The Community Foundation of Greene County understands our community’s most pressing issues and can help you establish a fund to make an impact in areas of need or opportunity that are important to you. Unrestricted Fund —Meeting ever-changing community needs. Address a broad range of current and future needs.  The Community Foundation of Greene County evaluates all aspects of community well-being—arts and culture, community development, education, environment, health and human services—and awards strategic grants to high-impact projects and programs. Target gifts to the cause most important to you: arts, education, health environment, recreation, economic development, youth welfare and more. The Community Foundation of Greene County awards grants to community organizations and programs addressing your special interest area. Support the good work of a specific nonprofit organization—a senior center, museum, your church, or any qualifying nonprofit charitable organization—by creating a specially Designated Fund. The community foundation will invest your gift for long-term growth and issue grants to your favorite nonprofit on a regular basis. Scholarship Fund-Help students access educational opportunities. Provide scholarships for students to attend school from Pre-Kindergarten though Post-Secondary schools and help them achieve their educational goals leading to success school and employment. To learn more contact Bettie Stammerjohn at, cfgcpa@gmail.com. Generous donors—When making a major gift, some taxpayers may give more to charity than they can deduct that year. Donors cannot deduct more than 60 percent of their income for gifts of cash to public charities (30 percent, if giving to private foundations). Although amounts over 60 percent can be carried forward and deducted in future years, taxpayers will face an immediate tax bill and may lose some of the benefit of the deduction if they die before the gift has been fully deducted. Donors who consistently give above the limit will not be able to take advantage of the carry forward provisions. What are the advantages of this giving tool?